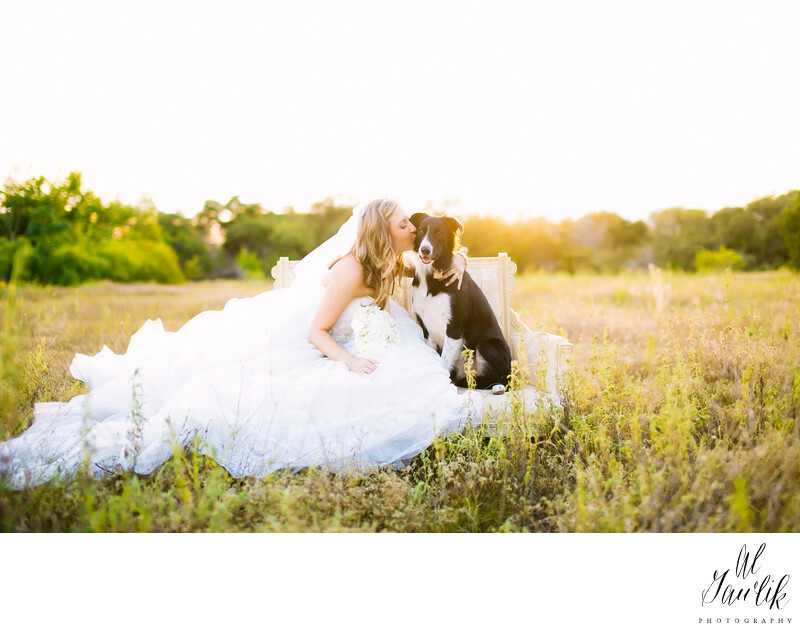 This dog just happens to be a woman's best friend and this portrait captures the love between the bride and what looks to be a tuxedo wearing canine. This is a really fun picture of another aspect of our life with the ones we love. And when a couple is married there may be other vital members of that relationship that we love with our heart and soul.